I’m going to be a *little* busy over the next month. This weekend is packed cos the one after is youth camp, and then next two I’ll be in Australia for Natasha and Dante’s wedding! I was also quite busy over the past month – my parents arrived back in Canberra this week after four weeks here in China. We had a FANTASTIC time! 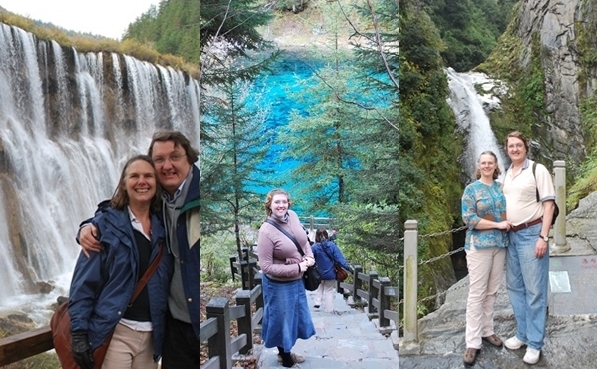 We spent a week in Langfang and Beijing; we hit Kunming, Dali, Lijiang, Xishuangbanna, Jiuzhaigou and Chengdu in under 2 weeks; and then the parents headed off to Dunhuang in western Gansu by themselves for a week while I went back to work. Then we finished up with a weekend in Beijing and a night at my house in Swine Flu City. Yes, I smuggled them in. There will be plenty of photos and stories to come…once I have time to sort through everything! Rosie came to visit! I kinda missed telling you how cool that was in my last update. Aaand that’s all for this little update! Stay tuned for pretty photos and fun stories from my travels with the parent people! October 30, 2009 in China Stories.